There is a lot of talk about what our pets should and shouldn’t eat—especially online. For pet owners, this can be quite frustrating. The newest talk in the Internet-world is vegetarian and vegan diets for dogs and cats. Like many pet owners, you may be wondering if these types of diets are suitable for pets. We want to give you the accurate information you need to make an informed decision. Many people are switching over to vegetarian diets. As they transition, they often consider a vegetarian diet for their pets. For dogs, vegetarian diets can work, but pet owners should consult with a veterinarian and their advice strictly throughout the process. There are many nutrients that our pets (and humans) get from animal sources that are hard, if not impossible, to get from other sources without supplements. When determining whether or not dogs can eat a vegetarian or vegan diet, the main factor is whether or not pet owners are going to be able to come up with meals that include the right amount of protein and other important nutrients they need. Vegetarian diets are fairly feasible for dogs, because they are natural omnivores (contrary to popular belief that dogs are carnivores) and need less protein in their diets than some other companion animals, such as cats. Most vegetarian diets include eggs, which are a great source of protein and contain a lot of amino acids that dogs need to stay healthy. Vegan diets are a little trickier. Protein is vital for dogs and it is essential that dogs receive protein in some form. With the right balance of plant-based proteins, your dog can get everything that it needs, but this type of diet is best determined with the help of a professional. To supplement the lack of meat, the right balance of beans, corn, soy, and/or whole grains will be necessary. Many dogs, however, will miss having meat in their diet and may refuse food that doesn’t contain the tasty meat that they are used to eating. 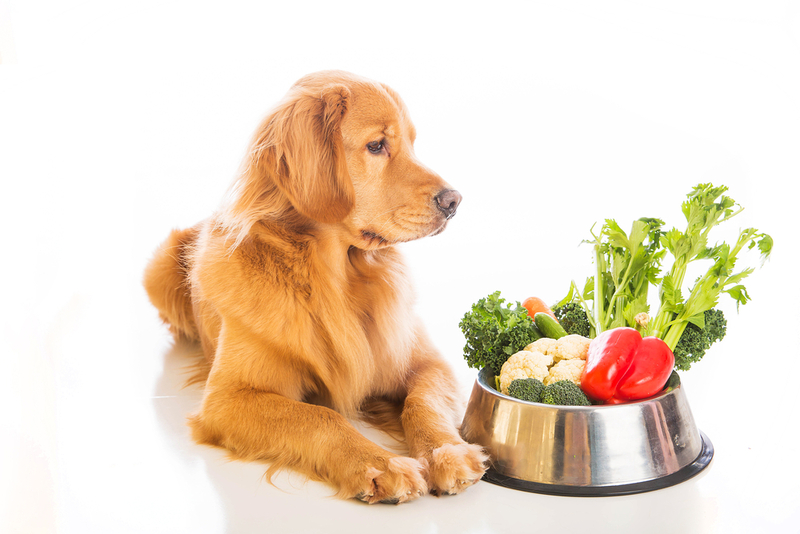 If your dog is refusing to eat a vegetarian or vegan diet, you may need to revert back to a traditional diet. A dog that refuses food for too long can experience resulting health issues. For cats, vegetarian and vegan diets are inappropriate and unfeasible for a variety of reasons. First, cats need vitamin D3, and they can’t produce it in their skin like people can. Unlike vitamin D2, vitamin D3 can only be found in animal-based sources. While dogs and people can use vitamin D2, cats really rely on D3. Taurine is another nutrient that cats can’t make on their own. Taurine is an essential amino acid that is mostly found in muscle meat and organs, such as hearts, livers, kidneys, and seafood. Without meat in their diet, cats could develop an imbalance of taurine and other amino acids and essential fatty acids like L-carnitine and arachidonic acids. Over time, this imbalance could lead to a severe deficiency. Vegetarian and vegan diets are also unlikely to get cats the recommended amount of protein that they need per day. It is recommended that cats get at least 25 grams of protein per 1,000 calories consumed. Over time, without meat in their diets, cats can develop serious medical conditions, some of which can’t be reversed. The most common of these conditions is taurine-related dilated cardiomyopathy, which is an enlarged heart with weak contractions and poor pumping ability. Taurine deficiency can also cause eye problems, growth problems, and reproductive failures. In some cases, the condition can be life-threatening. Before you ever change your pet’s diet, you should always consult with a veterinarian. While there are instances where a veterinarian will recommend removing meat from your pet’s diet, it is important that it is done in a safe, healthy manner. Often meat-less diets are recommended only for pets that have food allergies, liver disease, or frequent bladder stones. It is important to also remember that all pets may have unique dietary needs. For this reason, not all pets can be placed on certain diets, and some pets will do well on diets that might be very harmful to other pets. To convert your pet to a diet with little or no animal products, you will need to work closely with a veterinarian or veterinary nutritionist. A professional will be able to craft a diet that is appropriate for your pet. If you have any more questions about vegetarian and vegan diets for dogs and cats, give VRC a call today at 610-647-2950. We would be happy to get you in contact with a veterinary nutritionist that can help you come up with an appropriate diet for your pet’s unique needs. The holidays are a joyous and warm time, that is until your pet gets into something he or she shouldn’t and needs to see a veterinarian. Some injuries and accidental ingestions may be a minor issue that a little bandaging or fluids can remedy, but some can be more severe and require emergency surgery. One of our surgeons, Dr. Dietrich Franczuszki has some tips on avoiding pet surgery this winter. Many pets get very excited by the snow, especially if they rarely see or have never seen it. The squishy, white fluff coating the world can be incredibly enticing until dogs lose their balance on ice or overexert themselves with rough play. This can lead to injuries like torn cruciate ligaments or dislocated kneecaps, all of which might require surgery. Consider getting special snow booties for your pet that help them maintain their balance and if your pet gets excitable in the snow, try to keep him or her in a smaller enclosed area or on a leash when outside to avoid too much running and jumping. Osteoarthritis can also flare up more in cold weather, resulting in joint swelling and pain for your pet. 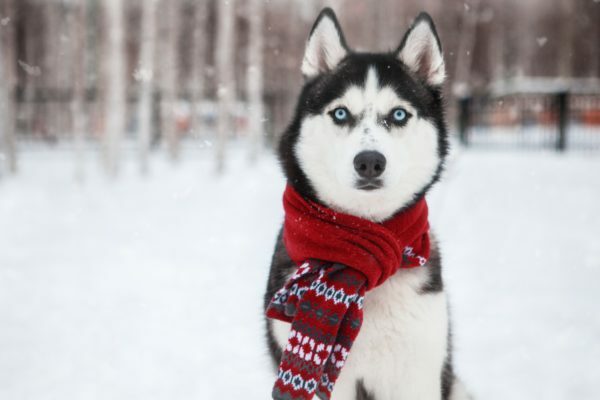 If your pet has a history of osteoarthritis, do what you can to keep him or her warm inside as much as possible and consider buying doggie outerwear for short trips outside. Warm compresses to the affected joints may also ease the pain. Certain holiday and winter-related objects can cause internal obstruction or even toxicity if ingested. Antifreeze is extremely toxic for pets, so much so that for cats, even just a lick at the bottom of someone’s shoe after stepping in antifreeze can be fatal. Keep this product far away from pets and wash hands well after use. Holiday decorations like balloons, tinsel, and ornaments, as well as small toys, wrapping paper, and batteries, can be an issue if ingested. Even less considered holiday items like kebab skewers, toothpicks, sewing and knitting needles (anyone embroidering a stocking? ), etc. can cause piercing or blockage of essential organs. Many of these items require minimally invasive or invasive surgical removal as they can cause an obstruction that may not resolve on its own, and in some cases, like batteries, toxic leakage. It’s also very important to remember that if you see something hanging out of your pet’s mouth or behind (such as tinsel or string), DO NOT attempt to pull it out. This string might be wrapped around something internally that could cause extreme damage if pulled. If you see this, bring your pet to a veterinarian right away for professional removal. At VRC, we offer both minimally invasive and traditional surgical solutions for your pet, as well as a variety of on-site diagnostic capabilities like X-ray, ultrasound, and CT should your pet ingest something they shouldn’t. We are open 24/7, 365 days a year for emergency care and also offer 24/7 emergency surgery if needed. Sneezing and sniffling are very common during the winter months as more and more people come down with a cold or the flu. This means that many households have stocked up on common cold and flu medications. These medications can pose hazards to your cat or dog. VRC is here to break down some of the most common ingredients in these human medications and the risks they pose to pets. Acetaminophen is a common pain reliever and fever reducer. It is toxic to both cats and dogs, but its effect on cats is especially dangerous. Acetaminophen can cause a condition called methemoglobinemia, which causes decreased levels of oxygen in body tissues. It can also cause liver failure. In cats, acetaminophen can cause swelling in the face and paws. NSAIDs (non-steroidal anti-inflammatory drugs) can be very dangerous to pets. Both ibuprofen and naproxen are NSAIDs that could lead to gastrointestinal bleeding, ulcers, kidney damage, and liver damage. In cold and flu medications, these drugs are often combined with decongestants. Carprofen is another NSAID that you should be cautious of around your pets. Decongestants, such as phenylephrine and pseudoephedrine, can cause big problems for our pets. While pseudoephedrine causes symptoms like restlessness, agitation, increased heart rate, muscle tremors, increased blood pressure, and seizures, it can lead to death if a large amount is ingested. Most cold medications containing a “D,” like Mucinex-D, contain pseudoephedrine. Phenylephrine can cause similar symptoms as pseudoephedrine, but it is considered a bit less dangerous. If your cold and flu medication has “PE” on the package, it likely contains phenylephrine. This medication is a non-addictive opioid. It is used in cold and flu medications to help with coughing. 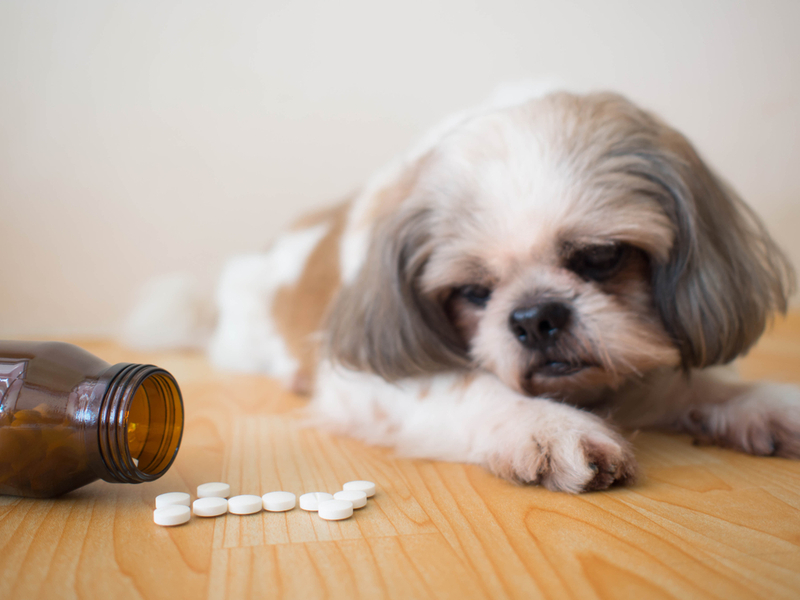 Pets who ingest medication containing dextromethorphan commonly exhibit symptoms including vomiting, lethargy, agitation, tachycardia, tremors, and seizures. Typically, vomiting is only treated when it is severe. In these cases, IV fluids can help. Tremors and seizures will likely be treated with benzodiazepines. Similar to humans, pets could be allergic to the drug and might battle hives and facial swelling. An allergic reaction is usually treated with antihistamines and corticosteroids. Cough drops can be problematic for two reasons. First, cough drops can be a choking hazard for dogs and cats. On the other side, certain ingredients can cause health problems for pets. Ingredients like sugar, eucalyptus oil, menthol, and colors and flavors might cause stomach problems for your pet, but this is mild compared to other ingredients. Xylitol is an extremely toxic artificial sweetener that is becoming more and more common in cough drops. It can lead to hypoglycemia and liver damage. Benzocaine is another ingredient that could be problematic. It is a local anesthetic used to numb the throat. Generally, it just causes gastrointestinal upset, but in large doses, it can be metabolized into compounds that can cause methemoglobinemia. Since it is a numbing agent, it can also cause aspiration. A common symptom of colds and the flu is red eyes. Since treatment for irritated eyes is generally eye drops, they make the list for pets, too. Pet owners also don’t tend to think of eye drops as being a dangerous substance for pets. However, when ingested, eye drops can lead to bradycardia, hypotension, and depression. If your pet has ingested any of the above drugs, it is a good idea to contact your local 24/7 emergency pet hospital or the Pet Poison Helpline at 855-764-7661 or the ASPCA Animal Poison Control Center at 888-426-4435. Either of these resources can help you determine what course of action you should take. You should reference the product’s packaging and try to determine just how much of the medication your pet has ingested. If one of these centers advises for emergency medical care, contact an emergency veterinarian right away. If you are in the Malvern, Pennsylvania, area, contact VRC in the event of cold and flu medication poisoning in your dog or cat. When you come in for emergency care, bring the medication packaging with you for the veterinarians to reference. VRC’s emergency hospital is open 24 hours a day, seven days a week. If your pet has ingested any dangerous medication, our emergency team can help. If you are unsure of whether you should come in, give us a call at 610-647-2950. We would be happy to answer any questions you have about pet drug ingestion. E-cigarettes have become increasingly popular among people who formerly smoked cigarettes because of the belief that these devices, as well as vapes, are safer than cigarettes. There has been a lot of debate about the safety of battery-powered smoking devices, and now, that debate is extending to our pets. While it is true that these devices reduce health risks for people, that isn’t necessarily true for animals. VRC wants all pet owners to understand the risks that e-cigarettes pose to their pets. Nicotine toxicity is a major problem for pets in homes where there is any kind of smoking or nicotine products. Pets that are exposed to nicotine through cigarettes, cigars, e-cigarettes, nicotine patches, nicotine gums, and any insecticides that include nicotine are at risk for nicotine poisoning. However, e-cigarettes contain a lot more nicotine than most of the other products that contain the substance. This means that e-cigarettes can actually be more dangerous for pets than regular cigarettes. Mild nicotine poisoning can lead to drooling, vomiting, nausea, diarrhea, agitation, and increased heart rate. Severe poisoning may cause tremors, seizures, depression, lethargy, ataxia, coma, as well as elevated heart and respiratory rates. Without treatment, cardiac arrest and respiratory failure may occur, which can be deadly. Symptoms can appear within 15 to 60 minutes of ingestion of nicotine. Nicotine in any amount can be dangerous, but nicotine gum, nicotine patches, cigarettes, and loose tobacco can cause severe nicotine poisoning. However, e-cigarettes contain liquid nicotine that can be absorbed through your pet’s digestive system as well as the skin and mucous membranes. When nicotine is absorbed through mucous membranes or skin, it doesn’t pass through the liver, so more nicotine enters the bloodstream, which increases the risk for nicotine poisoning. The way e-cigarettes are packaged could also contribute to problems. The liquid nicotine cartridges carry between six and 24 milligrams of nicotine, which is equivalent to one or two traditional cigarettes. The cartridges are then sold in boxes of five to 100 cartridges. This means that your pet could potentially have access to a very large amount of nicotine. Further, consider the size of your pet. If you have a large pet who gets into one cartridge, there may not be much of a problem. If you have a small pet who gets into a whole pack, you are going to be looking at a severe poisoning. In fact, in very small pets, even one cartridge could lead to a serious illness. Refilling these cartridges can further complicate matters. Some people purchase nicotine solutions where they can refill their own cartridges. This liquid is generally concentrated, and the user can dilute it as they see fit. That means that these refills could contain larger doses of nicotine. Additionally, if your pet gets into liquid before it has been diluted, there could be dire consequences for your pet. The large concentration of nicotine poses a much bigger threat to pets than a single cigarette or even a regular e-cigarette cartridge. In addition, nicotine cartridges are often flavored which can be another dangerous aspect. The flavoring can make the liquid smell and taste desirable to pets, which might draw your pet toward investigating the liquid. While nicotine is the biggest threat to your pet when it comes to e-cigarettes, there are other potential hazards as well. Pets are curious, and often use their mouths to explore. Your curious pet might bite or ingest the casing or battery of the e-cigarette. These materials can cause gastrointestinal blockages and irritations. The rechargeable batteries can cause burns due to the caustic substance found inside. Second-hand smoke is a big problem for pets in smoking households, but not enough research has been conducted to know if e-cigarettes pose any similar problems for pets. It is always a good idea to stay away from your pets while you are smoking. Treating nicotine poisoning can be successful, but seeing a veterinarian right away is necessary. A veterinarian will attempt to decontaminate your pet by inducing vomiting. Once decontamination has occurred, your pet will be given fluids to ensure that they are hydrated. Additional medications could include anti-vomiting, anti-seizure, blood pressure, heart, and sedation medications. Your dog or cat may also have heart and blood pressure monitoring. Nicotine poisoning can be fatal for dogs and cats. Only nine to 12 milligrams of nicotine can be fatal to pets regardless of what the source of the nicotine is. 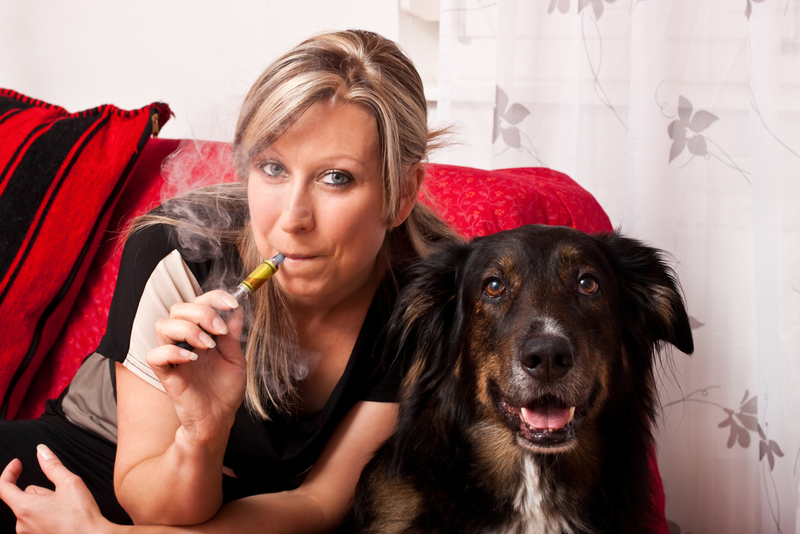 The best way to protect your pet is to prevent ingestion of any part of an e-cigarette. To do this, you should keep e-cigarettes and nicotine cartridges away from your pets. To ensure your pet can’t get into anything harmful, consider placing these items in a drawer or cabinet that is inaccessible to your pet. If your pet is a skillful snooper, you might want to buy childproof locks for the cabinet or drawer. While you are at it, keep all products that contain nicotine in this spot. Even a pet with the most diligent owner might find a way to get into something containing nicotine. If your pet starts displaying the symptoms of nicotine poisoning, you should seek veterinary care right away. 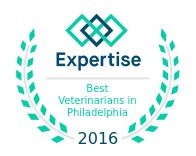 If you are in the area, give VRC a call today at 610-647-2950 or stop by with your pet. Our emergency clinic is open 24 hours a day, seven days a week to provide emergency medical care to pets no matter what time it is.